The PAGE 2018 meeting will be held at 2m2c Congress Center, Montreux, Switzerland. The PAGE meeting takes place in an informal atmosphere with vivid scientific discussion. PAGE 2018 will be held at the Montreux Music & Convention Center. The meeting starts with a welcome reception at “Marché couvert” (Covered market) in Montreux city center on Tuesday evening 29 May. The scientific programme will start on Wednesday morning 30 May and will end at noon on Friday 1 June. Participants are encouraged to attend all conference days and present their work in the form of an oral presentation or poster. The program and abstracts can be downloaded as a single document (in pdf or docx format). Note that no printed abstracts are available at the conference so print them at home or use the special Apps that have been developed for iPhone and Android to view all abstracts off-line on your portable device. The annual Lewis Sheiner Student Session was inaugurated, both to honour the memory of Lewis Sheiner and to highlight his lifetime passion for student education. Students who wish to be considered for this session should submit an extended abstract no later than 26 February 2018. Special session on Pharmacometrics in dose individualisation – focus on biomarkers. This session will be focused on the combined utilisation of TDM biomarker data and model-based methods in dose individualization. Further presenters will be selected by the organising committee from the submitted abstracts (see abstract categories upon submission). Pr Thierry Buclin (University Hospital of Lausanne) will give an introduction to the theme and emphasize the clinicians’ needs when facing TDM results. Dr Catherine Sherwin (University of Utah) will share her experience in dose individualization approaches using biomarkers. Dr Scott K. Pruitt (MSD) will give a Clinical overview covering the state of the art in immuno-oncology including therapies and study designs, i.e. a view of how compounds are being developed. Dr Benjamin Ribba (Roche) will present the ideas of the biology and mechanistic PK/PD modelling in this area, including clear applications. Special session on Estimands. The purpose of this session is to give a background to Estimands and the potential opportunities from a pharmacometric perspective. The session will encompass the statistical and the pharmacometric viewpoints. Dr Mouna Akacha (Novartis) will give a background on estimands and discuss why they are important. We are currently fully booked, so new reservations will be put on the waiting list! Fees include coffee, tea and lunch on all days, the welcome reception on 29 May and the social event on 31 May. Students wishing to qualify for the student registration fee will need to upload, at the time of registration, a scanned copy of a signed letter of support from their supervisor indicating that they will be full time students in an MSc or PhD programme at the time of the PAGE meeting, and a scan of their current student card. If this information (and an abstract if applicable) is not available at the time of the abstract deadline (26 February), non-reduced fees will be charged. A PAGE Student Sponsorship to support travel and accommodation expenses (kindly supported by Certara, ISoP, LAP&P, BAST, and Occams), is available to a number of students unable to obtain any other financial support. This will be judged on a case-by-case basis by a selection committee. Please see here to download a form with criteria and details on how to apply. Applications need to be submitted by the time of the abstract deadline (26 February), so make sure you receive confirmation of receipt when sending your application. The abstract submission deadline is the same for all abstracts: Lewis Sheiner Student Session abstracts, oral session abstracts, and poster abstracts and there will be no option for late submissions. The reason is that the PAGE organising committee cares about the quality of all abstracts, and that means that sufficient time is required for judging the abstracts. In particular, abstracts without results will be rejected. Statements such as “…will be shown…”, or “…will be available at the time of the conference…” are not acceptable. Furthermore, abstracts for an anonymous drug (drug X) will not be accepted unless the work clearly describes a new methodology/new disease model for a specific therapeutic area (or similar), i.e. is of value to the pharmacometric community without the identity of the drug. Accordingly, a 2-compartment population PK model for drug X will not be acceptable. Also note that the abstract length (both minimum and maximum) has been increased significantly compared to previous years, to allow a better assessment of the intended presentation. There are strict limits with a minimum of 3,000 and a maximum of 4,500 characters (including spaces) for the abstract text (excluding Title/ Authors/ Affiliation and References). The local organisers have provided the possibility of having your poster printed on-site at the cost of CHF 55 for paper quality and CHF 75 for fabric quality. Prepare your poster in A0 portrait layout in pdf format, and upload your file here. The deadline for file-submission and payment is May 18. Software companies, Academic Software Application Developers and Contract Research Organisations are welcome to present their products and services during PAGE. The cost for one commercial table is 1700 euros including dedicated high speed wifi connection. Please visit the conference secretariat webpage for further details. Several events will be held before and after the PAGE meeting. If you are interested in organising such a satellite meeting, please fill in the online form and the local organising agency Swiss Backstage will get in touch. Please note that PAGE itself is not involved in organising satellite workshops or booking venues, etc, and satellite meetings cannot be booked through the PAGE or local organisers web-site. The nlmixr team will be running a one-day hands-on workshop on simulation (RxODE) and parameter estimation using the free and open-source R-based nonlinear mixed effect modelling platform nlmixr on Tuesday 29 May. The course will consist of a mixture of lectures and hands-on exercises. Contact info@nlmixr.org for further information, and visit this link for registration. Cost: 180 euro to cover the workshop room, lunch and coffee/tea. We have a limited number of reduced fee spaces available if you can argue a strong case. IntiQuan is running a full day hands-on workshop on Using R and Shiny to support efficient PK/PD and QSP modeling, parameter estimation, simulation, and reporting in Word on Monday 28 May. The workshop is designed as a hands-on tutorial, allowing participants to work through all examples under guidance of the presenters. All material (slides, example models, R code, required R libraries, and additional software) will be shared with the participants. No prior knowledge of either NONMEM, MONOLIX, SAEMIX, or NLMIXR is required. Basic knowledge of ODE and NLME modeling and R is of advantage. Cost: Standard rate 180 EUR, academics & non-profit organization employees 90 EUR. For more information and registration, please click here or email Henning on info@intiquan.com. SGS Exprimo is running a two-day Clinical Trial Simulation course on Monday and Tuesday 28-29 May. Certara University is running a two-day Phoenix NLME course on Monday and Tuesday 28-29 May. Phoenix NLME is a “full package” software that can be used during the entire drug development stage for optimal PK/PD modeling and simulation performance. Phoenix NLME is the only program that dynamically uses 3 different connected modes of analysis (built-in, graphical and textual). Built-in models are library models that can automatically be transformed into graphical and/or textual mode for use if needed. Graphical models are also automatically translated into textual mode for use. In other words, users can chose a model from an extensive model library (Built-in mode), draw the model using a graphical editor (graphical mode) or write it using code (textual mode). In the background, all model building modes in Phoenix NLME use the Phoenix Modeling Language (PML), similar to the NONMEM control stream. These unique characteristics make the Phoenix NLME software the easiest program to be used for optimal model building strategy. The 2 days course will on the first day introduce the main concepts of Population PK/PD with hands on based on case studies but that focus on standard PK/PD continuous responses (Drug, biomarkers, etc,). On the second day, basic theory on categorical responses, count data and time to events will be taught. We provide a unique opportunity to bring your own complex PK/PD model based data and get private consulting during the hands on part of the advanced course: after a half day focusing on the population analysis theoretical aspects, the instructor will provide a private consulting type of service during the hands on part of the workshop. Cost will be $995 USD; please email info@CertaraUniversity.com to register. ICON will present a one-day NONMEM 7 course on Monday 28 May. Workshop attendees will be instructed on how to implement the FAST FOCEI algorithm (new in NONMEM 7.4), how to use Monte Carlo importance sampling, stochastic approximation E-M methods, and full Bayesian methods, both traditional Gibbs Bayesian and Hamiltonian no U-turn sampling (new in NONMEM 7.4). Parallel computing and dynamic memory allocation for efficient memory usage will also be described as well as additional new features of NONMEM 7.4. The features of PDx-POP 5.2, the graphical interface for NONMEM 7, will also be demonstrated. Cost will be $500 for industry, $250 for academia, and $100 for students. For details and registration contact Lisa Wilhelm-Lear @ Lisa.Wilhelm@iconplc.com. The details can be found here. Metrum Research Group will present a one-day workshop entitled Advanced Use of Stan, rstan and Torsten for Pharmacometric Applications on Tuesday 29 May 2018. We will provide a guided hands-on experience in the advanced use of Stan, rstan, and Torsten, for Bayesian PKPD modeling. Stan is a flexible open-source software tool for Bayesian data analysis using Hamiltonian Monte Carlo (HMC) simulation - a type of MCMC simulation. Torsten is a Stan extension containing a library of functions to simplify implementation of PKPD models. This workshop builds on the foundations presented in our previous introductory Stan workshops. Topics include model evaluation and comparison, models with systems of ODEs, optimizing Stan code, using MCMC results for population and trial simulations, and more. You will execute Bayesian data analysis examples using Stan. Via the examples you will learn to implement population PKPD models including those involving censoring, numerical solution of ODEs, and user-defined probability distributions and likelihoods. Cost will be $600 for industry, $300 for academia/government/non-profit and $150 for students. Click here for details and registration. Metrum Research Group will present a one-day hands-on workshop entitled Simulation from ODE-based population PK/PD and systems pharmacology models in R using mrgsolve on Saturday 2 June 2018. After a brief review of simulation principles and planning strategies, we will provide a guided hands-on experience in the use of the R package mrgsolve. 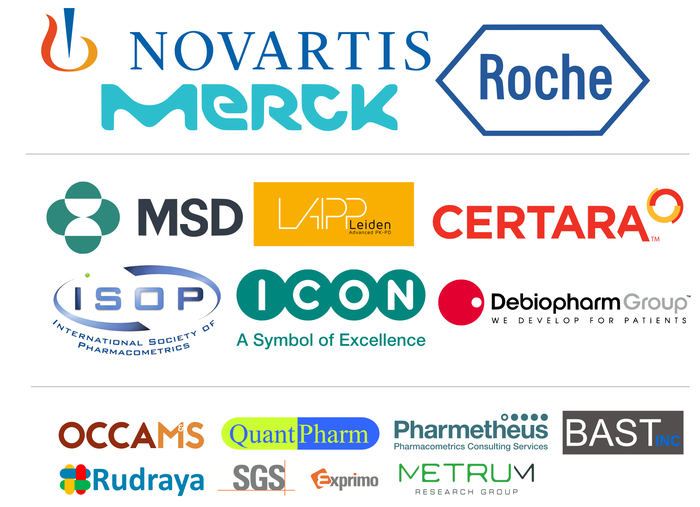 mrgsolve is a free, open source, validated R package to facilitate simulation from hierarchical, ODE-based PK/PD and systems pharmacology models frequently employed in pharmaceutical research and development programs. You will code, execute, and summarize PK, PK/PD and systems pharmacology model simulations using mrgsolve and R. Through many examples, you will learn to implement model-based simulations to help address questions at a variety of stages of a development program. Cost will be $600 for industry, $300 for academia/government/non-profit and $150 for students. Click here for a more detailed workshop description. Uppsala Pharmacometrics will give a 2.5-day course on Advanced methods for population model building and evaluation in NONMEM for intermediate and advanced users from the 26th - 28th of May. The course presents model building and evaluation strategies, techniques and implementations in population models. The course will consist of both lectures and hands-on computer exercises using NONMEM 7, PsN and Xpose 4. Click here for more details and information on registration. Lixoft is running a 1 day hands-on workshop on Target Mediated Drug Disposition models with the MonolixSuite on Monday the 28th of May. The workshop is intended to pharmacometricians wishing to have an introduction and an overview of TMDD. No prior experience of the MonolixSuite nor population PK modeling of biologics is required. It will provide an overview of the characteristics of the PK of therapeutic proteins, introduce TMDD modeling concepts (equations, approximations, underlying assumptions), and discuss guidelines for the development of TMDD models. Hands-on lectures to explore the behavior of TMDD models, as well as to model step by step a TMDD PK data set, will be included. More information and registration here. Lixoft is running a 1 day hands-on workshop on parametric modeling of time-to-event data with the MonolixSuite on Monday the 28th of May. We will provide a general introduction to the concepts related to time-to-event data, followed by guided hands-on to exemplify parametric time-to-event modeling in practice. Repeated time-to-event, covariate modeling and joint modeling of PK-TTE or PD-TTE data sets (including informative dropouts) will also be covered. The participants will learn how to format a time-to-event data set, write a model, estimate the parameters, interpret the results to step wise improve the model, and finally run simulations of time-to-event models. No prior experience of the MonolixSuite is required. More informations and registration here. Lixoft is running a 1 day hands-on workshop on advanced Monolix on Tuesday the 29th of May. The course is designed for modelers with already a good knowledge of Monolix, who wish i) to better understand the methods, the algorithms and their options, ii) learn how to implement complex models, iii) improve their strategy for model building. The course will consist of both lectures and hands-on sessions with Monolix. A dedicated Q&A hour session will be proposed. More information and registration here. Lixoft is running a 1 day hands-on workshop on the Monolix Suite on Tuesday the 29th of May. The course is designed for modelers with none to intermediate knowledge of the MonolixSuite. It will present the full modeling and simulation workflow on concrete examples using the 4 applications of the suite: Datxplore for the data visualization, Mlxplore for the exploration of the model behavior, Monolix for parameter estimation and model diagnosis and Simulx for clinical trial simulations. The course will in particular focus on the modeling strategy, the model implementation and the model diagnosis. Two real case studies will be used, covering a PK and a PKPD example of modeling and simulation. More information and registration here. This workshop will be held jointly by consultants & scientists from esqlabs GmbH and Bayer AG with extensive experience in the use of PK-Sim® & MoBi® (Open Systems Pharmacology Suite) in all application areas. While the workshop does not require any prior experience with PK-Sim® & MoBi®, many topics will be of interest even for advanced users. Cost: 300 EUR. Academics & non-profit organization employees 180 EUR to cover the room, lunch and coffee breaks. For more information, please click here. For registration, please email Stephan on workshop@esqLABS.com. Sciometrx is running a two day workshop on Monday and Tuesday the 28-29th on Shiny for Pharmacometrics. Participants will learn to build tools to support automated tasks such as generating dynamic reports, monitoring modeling and simulation activities, and extending Rstudio. They will also construct applications such as interactive decision-support dashboards for clinical trial simulations. Overall 8 shiny apps will be built and another 10 example apps and code will be provided for later study - 18 apps worth of code! Registration details can be found here. Feel free to reach out to devin@sciometrx.com for additional questions. Swiss Backstage, the official conference organizer, has secured a variety of hotels for the PAGE meeting, which range from standard to more luxurious accommodations at preferential rates. An overview of the hotel accommodation options can be obtained here, and a google map with all hotels can be found here. Montreux is a small town, rooms are limited and will be booked on a first-come first serve basis. We therefore kindly advise all the delegates to proceed with their bookings well in advance. Booking your hotel through this link in the Montreux area (including Montreux, Vevey, Territet, La-Tour-de-peilz, Villeneuve) will give the participants a Riviera Card: free publics tranportation for the full length of the stay and up to 50% discount on a wide range of museums and attractions. Should you wish to book your hotel online, please use this this link. For group reservations (over 5 rooms), please contact the Booking Secretariat directly at page2018@swissbackstage.com. A confirmation letter for your reservation will be sent automatically to your email account. Should you not receive a confirmation letter, please contact Swiss Backstage (see below). Rooms have been pre-booked in all the hotels until March 2nd 2018 and will be confirmed on a first-come first-served basis as they are subject to availability. After this date, all reservations will be handled upon request. 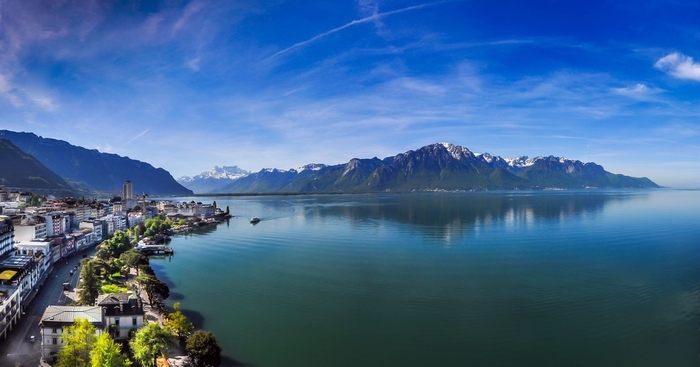 Also known as the Swiss Riviera thanks to its micro-climate, Montreux-Vevey has attracted people from all over the world at every time of the year. A wide range of overnight accommodations, romantic wine-villages, medieval castles and elegant “Belle Epoque” edifices attest to the great variety of the region. An international all-year program of festivals and culture as well as exceptional event locations make Montreux-Vevey an attractive destination for meetings. The Montreux Riviera extends over an area of 225 km2 and a population of about 89'872 inhabitants. The main language spoken is French, however a majority of the population can speak English and German. The highlight of the Montreux Riviera are Les Rochers-de-Naye at 2’042m. The city of Montreux is located in a protected bay on Lake Leman, surrounded by vineyards, and in the breathtaking scenery of the snow-covered Alps. It is particularly famous for the Montreux Jazz Festival which takes place every year in June / July on different stages and in the parks of the city. Thanks to its extraordinarily mild climate, Montreux deserves its name as the capital of the Vaud Riviera. The region is characterized by parasol pines, cypresses and palm trees that are more generally found around the Mediterranean basin. Charlie Chaplin, Freddie Mercury and many other world-famous personalities have lived or still live on the Vaud Riviera. A long flower walk along the lake leads from Vevey Montreux to Castle Chillon. Cultural events such as the Montreux Jazz Festival, as well as endless opportunities for mountainous hinterland or lake excursions make this city a popular destination for excursions and holidays. Many buildings from the golden age of the Belle Époque line the lake shore, including the sumptuous Fairmont Le Montreux Palace and the Montreux Music and Convention Center (2M2C). From Geneva airport : 1h15 by train (every 30 min) or car. Public transport in Montreux is provided by Transports publics de la Riviera Vaudoise (VMCV). Montreux has an efficient public transport network. Generally, buses and trolleybuses operate between 05.30 AM and midnight. PAGE participants staying at hotels in the Riviera (Vevey - La Tour-de-Peilz – Clarens – Montreux - Villeneuve) have free public transport. For maps and timetables, please visit the VMCV website (in French). Travelling by train is the easiest way to get around, please visit the CFF-SBB website. Several taxi companies operate in Montreux. Prices are expensive depending on the route. Example: Vevey-Montreux CHF 30.00 / Villeneuve-Montreux CHF 24.00 / Lausanne-Montreux CHF 100.00. Switzerland is in the Central European Time Zone. In the summer months clocks are set at GMT + 2 hours. The weather in Montreux in June is generally pleasant. Temperatures are usually in the range between 11 and 19 °C during the day. Check the weather forecast for Montreux here. The official national Swiss currency is the Swiss Franc (CHF). All most major credit cards are accepted in Switzerland in places. Switzerland is not a member of the European Union but the stores accept euros but will return currency in CHF. You can change your money into all the major currencies (€, $, £, ¥, CAD, AUD, etc.) at banks (Monday to Friday), as well as in CFF stations (7 days a week). The major stations and banks provide automatic currency dispensers or changeomats that operate 24/7. In addition, it is possible to withdraw € from most cash dispensers in banks (bancomat/ATM) or Post Offices (postomat/ATM). Major stores and specialist shops are open Monday to Friday from 8.30 am. to 6.30 PM or 7.00 PM, and on Saturdays until 5.00 or 6.00 PM. Shops are closed on Sundays, except for some bakers and grocers.